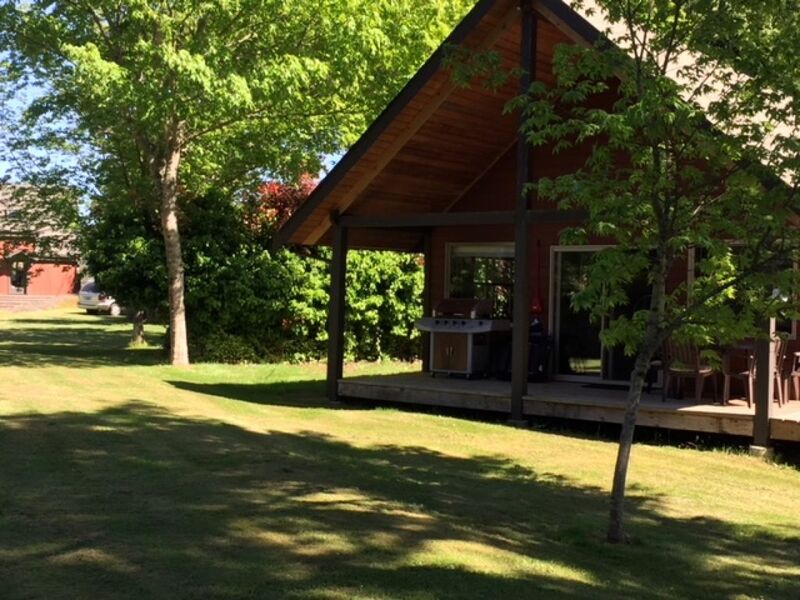 Arbutus Bay Cottage, a Gulf Island family vacation cottage rental, awaits you on beautiful Galiano Island. Galiano is situated half way between Vancouver and Victoria, British Columbia, Canada. A short relaxing ferry ride on B.C.Ferries to Galiano Island from the mainland (55 min.) or Vancouver Island (90 min. ), is like stepping back in time. This island's slow pace and its abundant beauty make for a wonderful vacation while staying at Arbutus Bay. Our wonderful family cottage with pets weclome, on this spectacular waterfront property, situated 1 1/2 km from the Sturdies Bay ferry terminal, at the south end of Galiano Island. Active Pass is the main southern ferry route from the mainland ( Vancouver ) to Vancouver Island ( Victoria ). Storm lovers will delight during the late autumn and early spring as windy storms create huge waves on the shore. A vast cottage lawn area provides space for playing any number of games and is very safe for young children and pets. While the cozy cottage, is set well back of the main house, and offers you complete privacy with covered and open decks, yet it is only a few seconds walk to the waters edge.